A worldwide club, nearly 1700 strong. Ownership of a Nash is not a prerequisite for joining: only an interest is necessary to become a member. Members receive a ROSTER, listing all members and their cars, and HANDBOOK of useful material. The Club publication THE NASH TIMES is bi-monthly. The MARKETPLACE, a buy sell newsletter is mailed every month. Annual Club dues are; $15 For ELECTRONIC (only) Membership. For Standard Membership; $30 in United States, $33 for Canadian, and $48 for International air mail. Click here for CLUB APPLICATION, to view or print or download (save as). NASH CAR CLUB local region listing's. Upcoming club and other Events. Club Sales Items and Order Form. Do you know the correct Model Number for your Nash? View a Breakdown of Models by year. Wisconsin Auto Museum, in downtown Hartford Wisconsin. Members Access to the NCCA Garage. 2.) MEMBERS OPTIONAL PARTS SEARCH SERVICE. Members - Subscribers - Only. 3.) MOL Sources & Tech Tips. 4.) Join our "Members-On-Line" (MOL) group. 5.) Change of Address, Cars Update, Roster Corrections. 6.) Place Classified Ads in MarketPlace. 7.) Submit Articles to Editor of Nash Times. 8.) Submit Articles & Ad's to Region Newsletter Editors. of Nash and Related Cars. Northern California Region NCCA. Greater Northland Region NCCA. Enthusiast Book Available. Mark Lehman's #777, 1957 Nash Page. 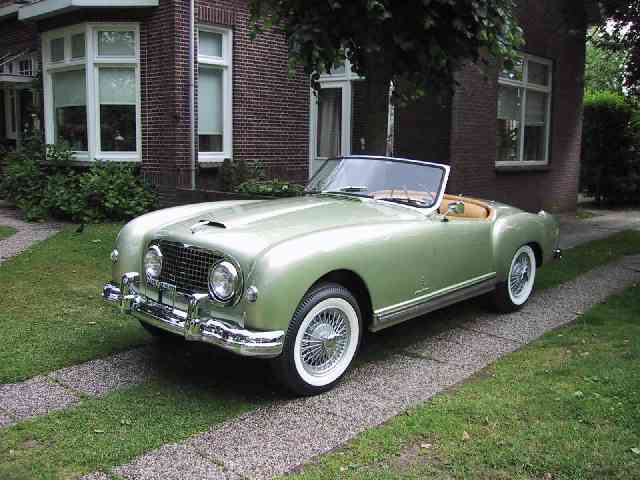 www.classiccarpartsfinder.com Mike Monett #8396 1952 Nash Rambler Web Page"
Patrick Schilling #6132, 1941 Nash Page. Jerijan Baldwin #5659, a family of Nash and AMC. Parts & Literature for Sale. Jimmy & Eve Valentine's #2040: Metropolitan Pit Stop. .
Stephen Clark #2793 (Nash) in New Zealand. Walter Miller #6987, Auto Literature for sale. Jerry Christensen #813, - Metropolitans. Wally Mendelson #7780 - 48 Brougham. Chuck Test #4275, Great Nash & Rambler Photos. .Ken Bonner #9280 Pages for Nash-Great Britain & Europe. Doug Noel #7239 American Parts Depot AMC, Rambler and Nash. Bob Ames #9461 For fans of the late American independent auto manufactures. AMX, AMC web page. American Motors Owners Assn. 1921 Diary, Traveling in a NEW Nash. A great AMC and Rambler site with some older Nash. Classic Car Data Ltd. - a Directory to many Auto Sources. A great AMC and Rambler site with some older Nash.